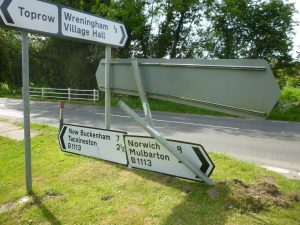 A towed caravan heading towards Norwich detached from its tow just near Wreningham House and careered unguided towards Top Row junction where it collided with the road traffic signs. 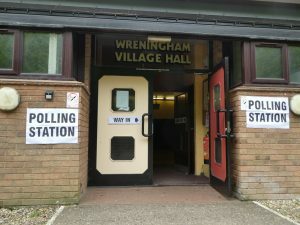 No-one was injured and the Police were called, but at the time of writing had not been reported as attending. 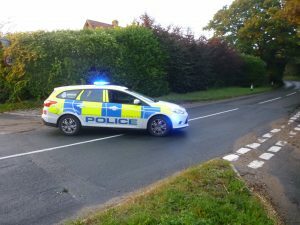 A motorcycle was travelling towards New Buckenham when its rider lost control on the corner and both machine and rider came to a rest in Top Row. It is thought excessive speed was the cause. No emergency services attended. 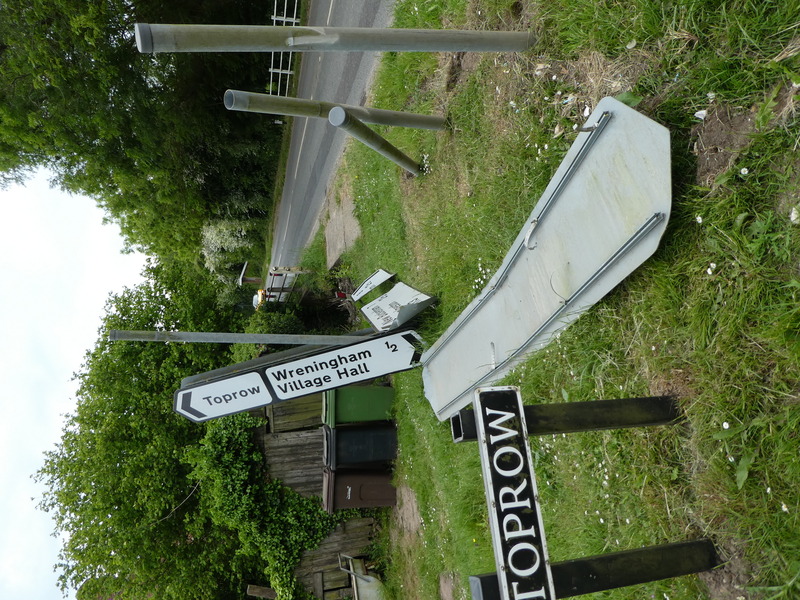 Signs of a vehicle collision and subsequent damage with the traffic signs on the corner of Top Row and B1113. No further details yet. A two vehicle collision happened at the junction with Police, Ambulance, Paramedic & Fire Service attending. 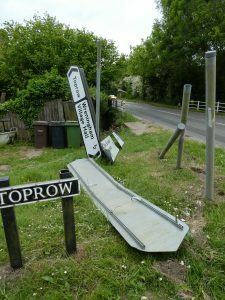 Police report: Fine with high winds; fine surface; 2 vehicles – one male (78) driver & one female (55) driver; turning right out of junction; slight severity – female as casualty; cause – poor turn manoeuvre & buildings, road signs, street furniture. Around 7 p.m. Police closed Norwich Road at Mill Lane and Church Lane diverting traffic through the village. 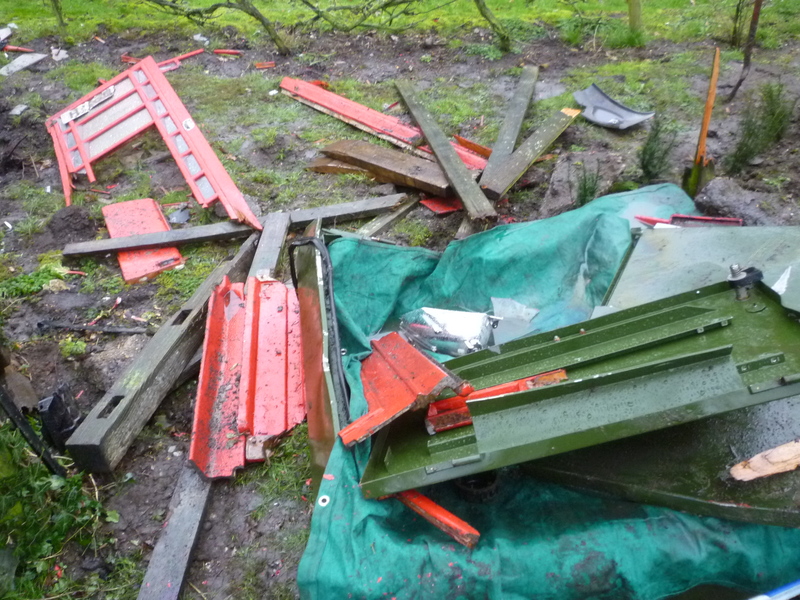 This was to aid recovery of a crashed vehicle some 30 metres North of the Mill Lane / B1113 junction. It is believed that a vehicle travelling towards Norwich approached the junction and as it navigated the bend after the junction it crossed over the road, mounted the earth bank for about 15 metres and then rolled back down onto the road. 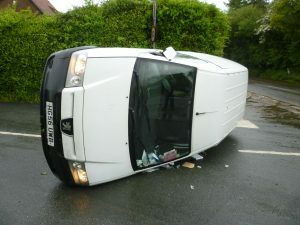 The police attending the scene believed the driver had lost control although the reason for this was not known. Two vehicles involved in a minor accident resulting in minor damage. The emergency services did not attend. 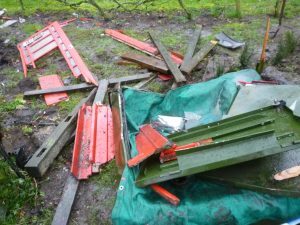 It is believed both vehicles were travelling towards New Buckenham. Reported by resident (awaiting police accident data). A multiple vehicle accident occurred on the B1113 just beyond Rose Cottage at the Parish boundary. This blocked the road for several hours and all three emergency services attended. A young driver was injured and had to be cut out of his car. It has been reported that one of the vehicles involved car was being driven well in excess of the 50mph speed limit and lost control when overtaking a car, hit the bank, overturned and skidded down the road on its roof. 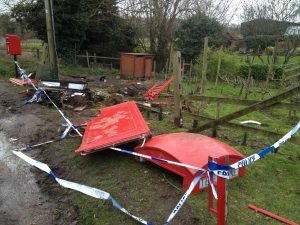 An Ashwellthorpe resident had to take avoiding action to prevent a “head on” collision. A van driver approaching the junction from Norwich. Travelling at about 45 mph, he braked upon spotting a vehicle immediately ahead about to turn into Mill Lane. 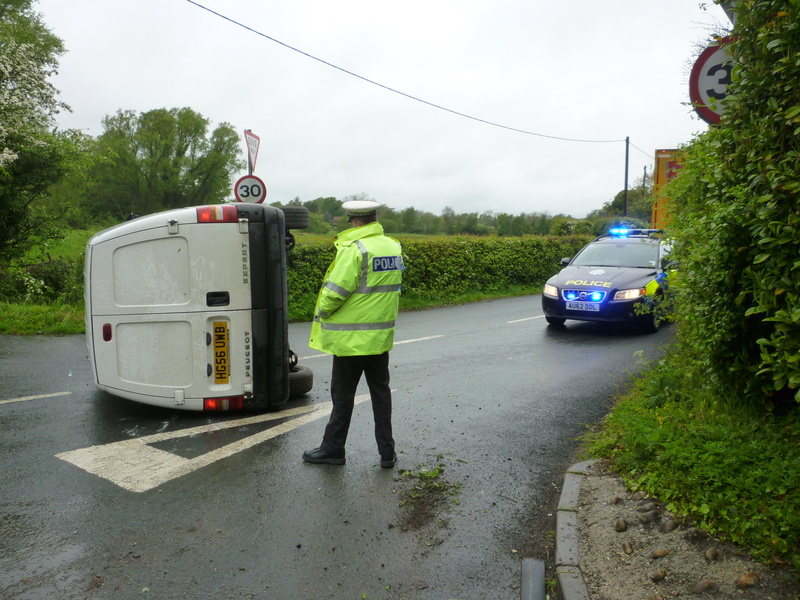 The van went up onto the verge just beyond the 50 mph sign, turned over, crossed the road and came to a rest upon its side in Mill Lane. No-one hurt. No other vehicle directly involved. Weather – overcast with occasional showers; Road – Wet/Damp; Vehicle & Driver – Van male; Casualty – none; Manoeuvre – Going ahead right bend; Causes – Loss of control. The car travelling towards New Buckenham lost control on B1113 and swerved into Top Row, demolishing the telephone kiosk, BT cabinet, fencing and halting in the duck enclosure. The police in attendance. 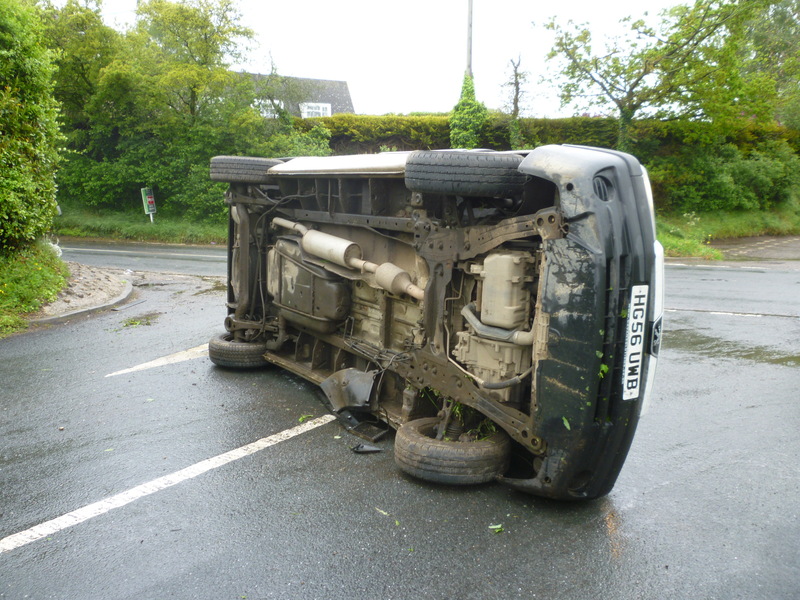 Weather – Raining with high winds; Road – Wet/Damp; Vehicle & Driver – Car male 27; Casualty – driver male 27 ; Manoeuvre – Going ahead left bend; Causes – Slippery road (due to weather) / Loss of control / Travelling too fast for conditions. Two cars collided travelling in opposite directions (on B1113?). 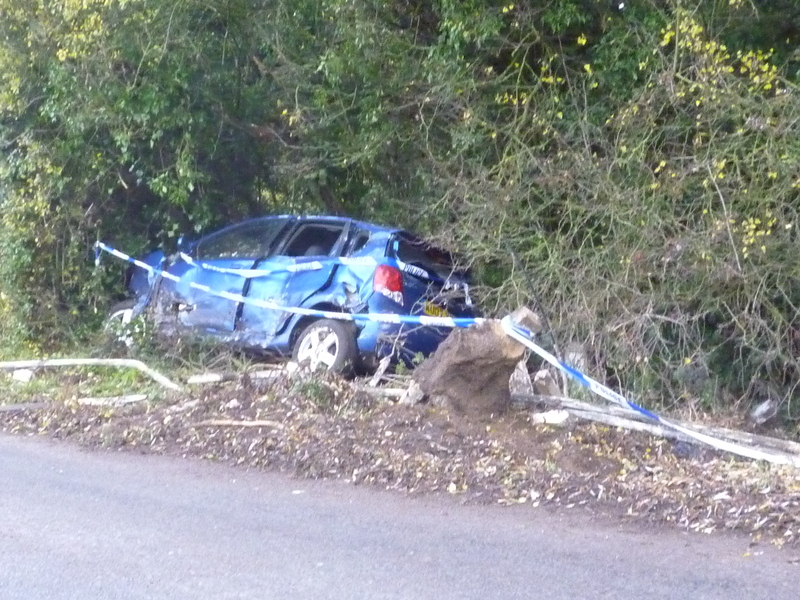 The car travelling towards New Buckenham lost control and hit a vehicle travelling towards Norwich. Car (Blue, KU07…) in ditch police tape around it. Destroyed the railings protecting culvert on West side of B1113. 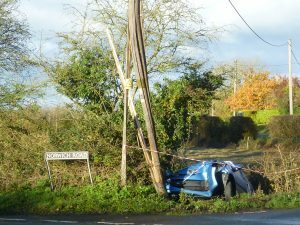 Car (Blue Peugot, KR56 DAA) smashed into power pole on Mill Lane & B1113 corner. Ended up back end in ditch. Electricity pole shattered & replace within a couple of days. 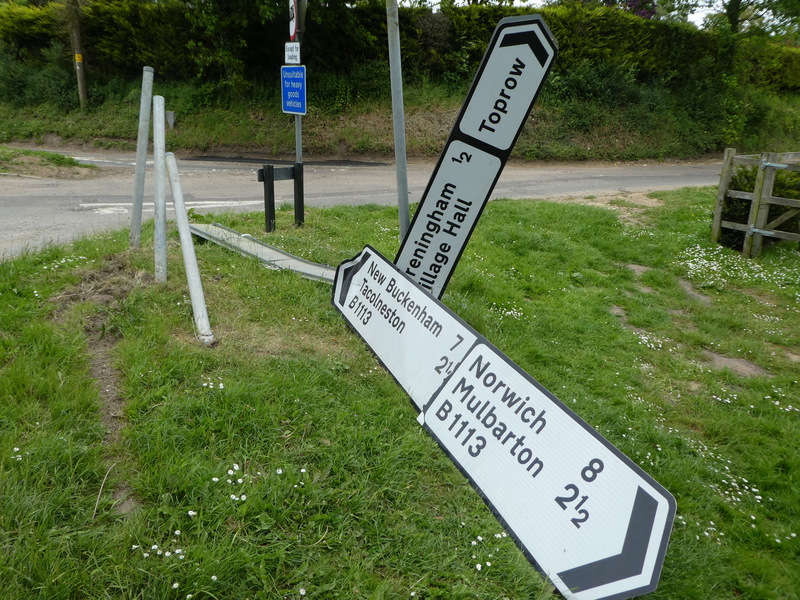 Road name sign damaged. A woman was involved in an accident this evening when the car she was driving came off the road and into a ditch. 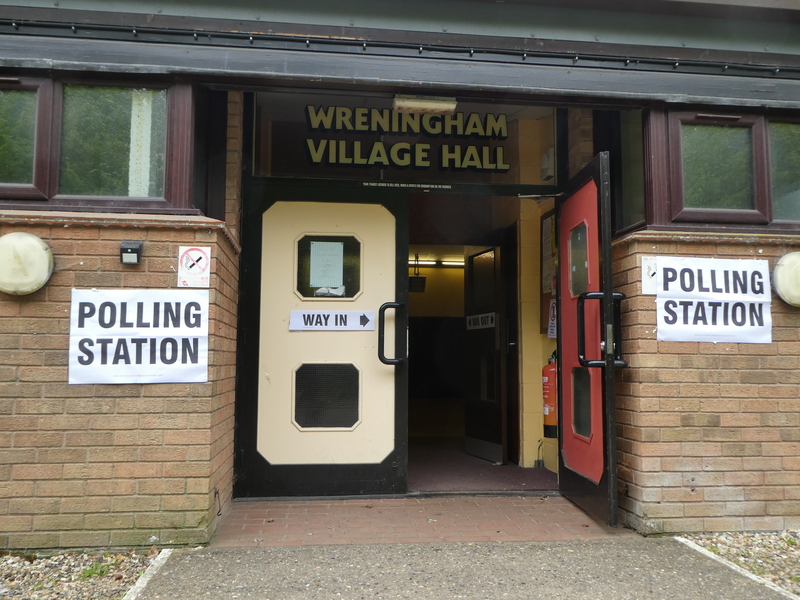 The incident, on the B1113 at Wreningham, happened at 5.15pm. 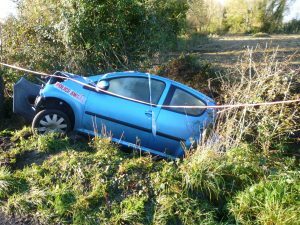 Emergency services attended the scene but the woman was unhurt. Police were unable to say if the crash was weather-related. 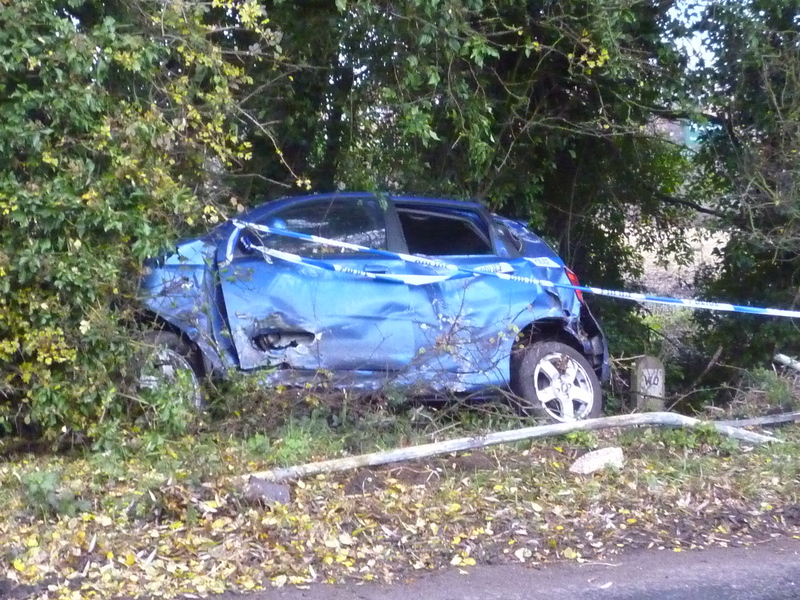 A woman in her 20s taken to hospital with a leg injury following a crash. The accident happened at 8.30pm on Norwich Road,Wreningham. An ambulance and rapid response vehicle arrived to find the car on its side. She was taken to the Norfolk and Norwich University Hospital. Fire crews also assisted. Two vehicle collision at 8.10am on theB1113. According to a police spokesman the road was cleared by 11am. Blocked both sides of the road but one lane was opened at 9.30am. Fire crews from Wymondham, Earlham and Norwich attended and released one casualty. Two people were taken to the Norfolk and Norwich University Hospital, but the extent of their injuries is unknown. Weather – Fine without high winds; Road – Dry; Vehicle & Driver – Motorcycle over 500cc driver male 30; Casualty – driver male 30 ; Manoeuvre – Going ahead other; Causes – Loss of control / Inexperience with type of vehicle. Weather – Fine without high winds; Road – Wet/Damp; Vehicle & Driver – Car Female 58; Casualty – driver female 58; Manoeuvre – Going ahead left bend; Causes – Animal or object in carriageway / Swerved / Distraction outside vehicle. 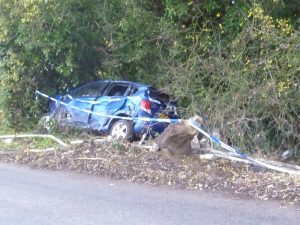 Two fatalities – Mr Richard Bolt and friend – vehicle left the road and crashed on East side of B1113 near Top Row into the culvert.